The Chancel Choir sings at the 10:00 am service. Practice takes place on Wednesdays at 7:00 pm and Sunday at 9:00 am. 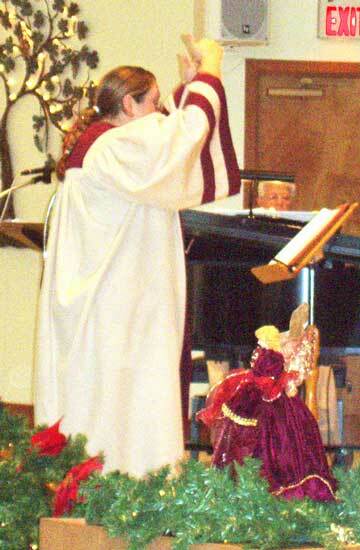 The Handbell Choir plays at various times throughout the year. Practice takes place on Wednesdays at 6:00 pm, but check the calendar as these times change throughout the year.